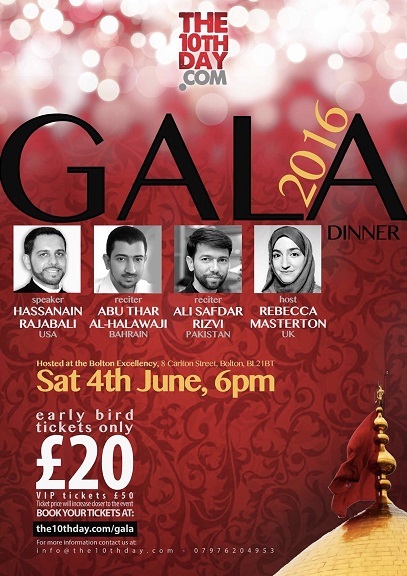 SHAFAQNA – The 10th Day will host its second Gala Dinner this Saturday – June 4th – in Manchester. The vibrant youth organization promises its guests an exciting evening under the banner of Imam Hussain – one of Islam’s greatest heroes and Imam. It is Imam Hussain’s teachings and valour which inspired The 10th Day to rise a bridge against intolerance, social injustice and sectarian prejudices. With only a few days to go The 10th Day is already set to a great success.